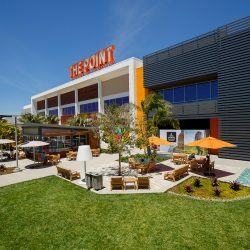 The Point was recently recognized as best commercial project (20,000 sq. 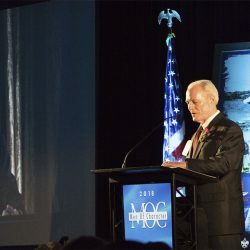 ft. & over) and received the 2018 Gold Nugget Award. Congratulations to our Snyder Langston project team, along with our partners Federal Realty and Architects Orange! 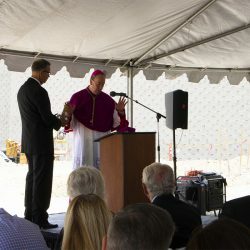 On Friday, we were joined by the Auxiliary Bishop Timothy Freyer in a ground blessing ceremony for the future Judi and Bill Leonard Institute for Cancer Prevention, Treatment and Wellness at Mission Hospital. 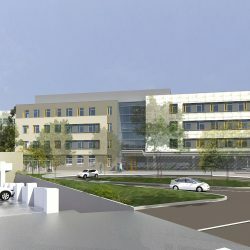 The Leonard Institute will provide world class cancer services to local residents in south Orange County. It is an honor to partner with Providence Saint Joseph Health in carrying out their mission. Our 649 Lofts project made an appearance on Urbanize LA! 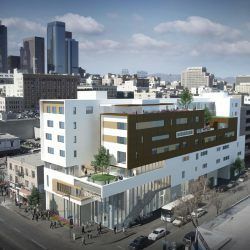 This seven-story, 55 unit apartments over a three-story 25,000 square foot Joshua House Health Center medical clinic will serve the surrounding under-privileged community of downtown Los Angeles. 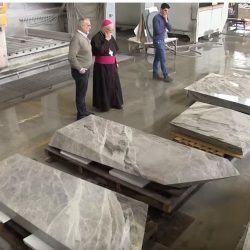 “This is the Cathedral Diocese that I see will last for ages….” Take a peek at a video following Bishop Kevin Vann as he shares his reflections about the people and artists, as well as his experience travelling to the quarries and fabricators in Italy where he selected marble and stone for the interior of Christ Cathedral. 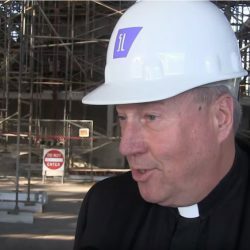 Father Christopher Smith takes us inside the Christ Cathedral project to share the latest updates. 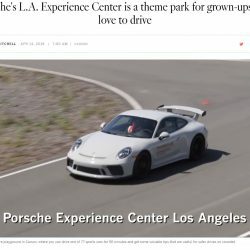 Earlier this week, the Los Angeles Times featured a story on the Porsche Experience Center in Carson. Snyder Langston had the pleasure of building this “53-acre sports car playground,” which includes a world class driver’s experience course where drivers can practice maneuvering on simulated rain and ice, as well as an off-road area. Home of Porsche Motorsport North America, the facility offers a gift shop, café, full-service restaurant, and simulator lab. A look at projects completed in 2017. Congratulations to our hard-working teams! We feel honored to build this new Medical Office Building and Parking Structure for the City of Mission Viejo. 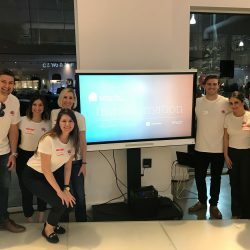 Take a look at the new article that describes this exciting project.